Democrat who replaced Joe Biden as a US Senator from Delaware in 2010 and chairs the Senate Foreign Relations Subcommittee on African Affairs. He previously held the office of county Executive of New Castle County from 2005 to 2010. He earned his J.D. from Yale Law School after earning a degree in political science from Amherst College and later went to work as a volunteer relief worker in Kenya. He worked on Ronald Reagan's 1980 presidential campaign before booming a Democrat in college. He has three children, Mike, Maggie, and Jack, with wife Annie Lingenfelter. 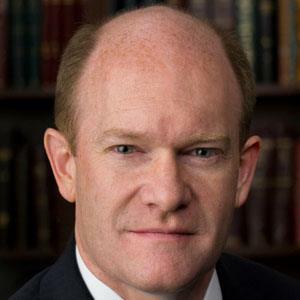 He succeeded Joe Biden as Delaware State Senator.